Dinner Bed and Breakfast at Old Downton Lodge with a free glass of English Sparkling Wine “Gusbourne, Brut Reserve” on arrival. You can then sit back, relax and enjoy this wonderful retreat and Chef Karl's creations from his Tasting menu of the day. Chef Patron Karl will also create you an extra course from the day's forage OR if you prefer, choose a Shropshire Cheese selection to complete your eXperience. Old Downton Lodge, near Ludlow, is steeped in history. A mixture of medieval, half timbered and Georgian surround a herb and flower bedecked courtyard that looks out towards the Hereford hills, now home to this superb 3 AA Rosette Restaurant with rooms. For the ultimate Shropshire dining experience, Chef Patron Karl Martin produces tasting menus for which he draws inspiration from local produce when he visits the local market and from his foraging expeditions in the Herefordshire countryside, creating a tasting menu that changes every day. Karl’s understated elegance in cooking, treating each locally sourced ingredient with the utmost respect, results in delicately balanced dishes offering a real flavour of Shropshire and the borders, recognised by being awarded 3 AA Rosette’s and featured in the Michelin Guide. 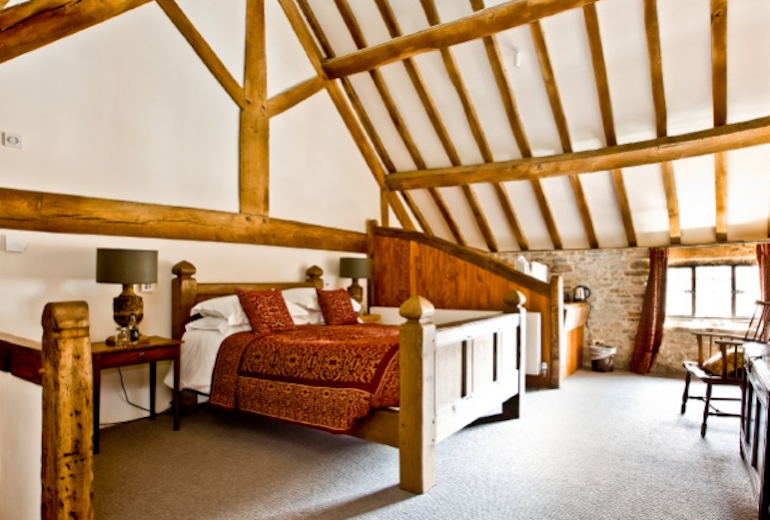 Old Downton Lodge’s bedrooms offer a mixture of exposed beams, high ceilings, alcoves and hidey holes have all been incorporated into the comfortable decor which includes modern solid oak four posters.